We are absolutely thrilled to announce that ​our head office is now relocated at the brand new Gold Coast Innovation Hub - a space founded by innovators for innovators. The move has been a long time coming for us and as our business continues to grow, we’re ready to take more businesses on the journey along with us too! What is the Gold Coast Innovation Hub? 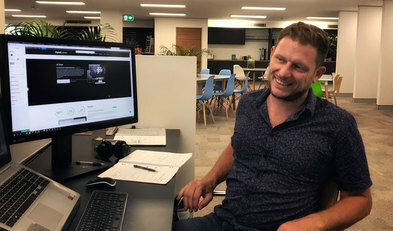 ​The Gold Coast Innovation Hub was formed by a few members of the leadership team behind software giant Opmantek and along with the support of the Queensland Government, Gold Coast City Council and 20+ corporate partners, the hub was brought to life to help drive a new digital economy right here on the Gold Coast. The hub is made up of a purpose built 3 storey space where like minded individuals, businesses and startups can connect, scale, collaborate, grow and expand into new global markets. 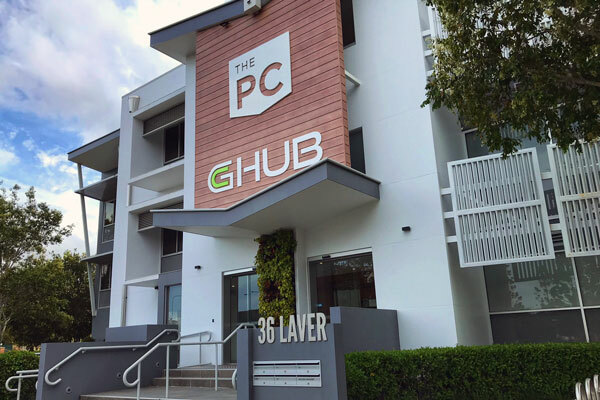 ​Well, with our move to the Gold Coast Innovation Hub, we are basically opening up a world of new opportunities for our clients and their goals for growth and expansion! This means you! We will now have access to amazing and modern event spaces, untapped access to a range of digital and media equipment including a podcast and media studio, not to mention the advantages associated with collaborating alongside cutting edge tech companies. But what we’re most excited about, is the opportunity for mentoring and introductions, because we’re all about helping to share the knowledge and the love to make sure everyone around us are kicking their goals too. ​If you’re as lucky as we are to be living in such a beautiful part of Australia, come in and check it out! We’d love for you to stop by, come and introduce yourself and we’ll take you on a tour around the new innovation hub. We’d love to shout you a coffee from the onsite cafe and tell you more about how we can help to grow your business in the digital world!